Bistro Online Ordering Is Now Available!! 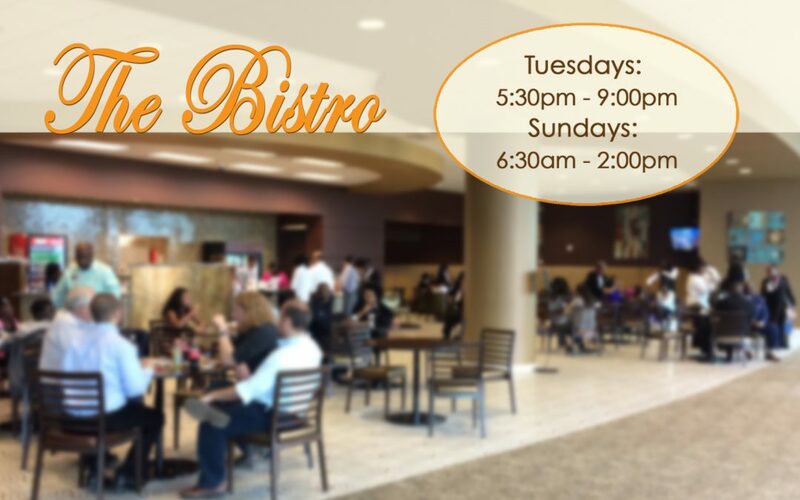 Never miss a great Bistro meal on Sundays again. Place your Sunday dinner orders online today! Orders will be available for pick-up after each Service. *Online ordering closes at 11:59pm Thursday before each Sunday.